It's the near future and online labour is globalised: millions work in virtual sweatshops with no rights and no union representation. Gamers Matthew from China, and Mumbai slum-dwellers Mala and Yasmin, among others, labour online to amass millions for exploitative global corporations, until they realise that by overcoming their differences and working together they can defeat their oppressors. 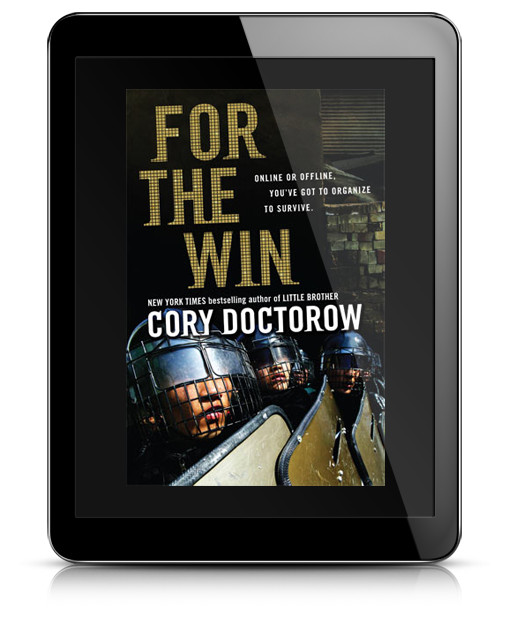 Doctorow isn't afraid of taking on big ideas and difficult themes. Here he mixes online gaming, trades union politics and economics in a realistic near-contemporary setting. In lesser hands, this might make for a dull read, but Doctorow is a fine stylist. In For the Win he has produced an exhilarating, unputdownable novel that's likely to be nominated for the genre's top awards.